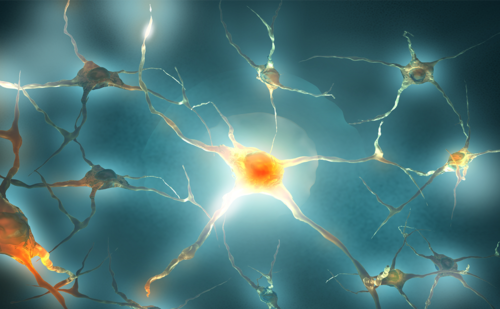 Spotlight debate—should we worry that pimavanserin might increase mortality amongst patients with Parkinson’s disease psychosis? 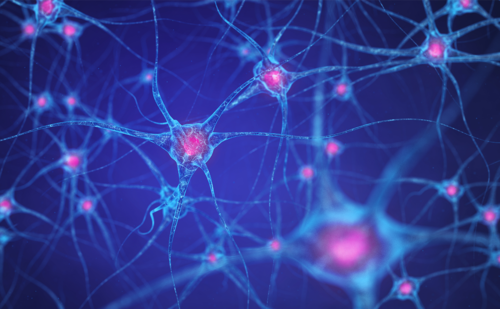 In 2016, pimavanserin became the first antipsychotic indicated for the treatment of hallucinations and delusions related to Parkinson’s disease psychosis (PDP), with a Breakthrough Therapy Designation from the US Food and Drug Administration (FDA). In November 2017 the Institute for Safe Medical Practices reviewed pimavanserin based on the FDA Adverse Event Reporting System (FAERS), and reported that 2,236 adverse event reports had since been filed relating to pimavanserin, and of these reports, 244 (10.9%) were for deaths. 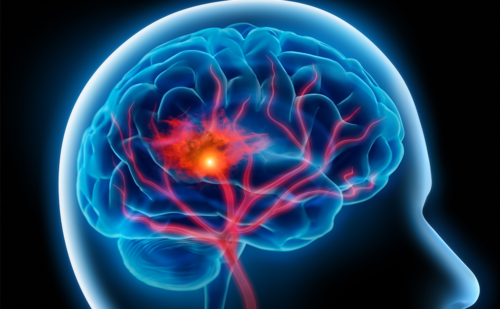 Following this, an article in CNN and a medical editorial published in The Lancet Neurology also discussed the reports of serious adverse events including deaths, as well as the reasons behind the FDA’s decision to approve pimavanserin for the treatment of PDP. 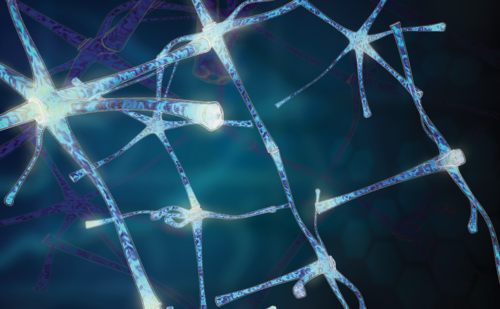 Here we present the highlights of a Spotlight Debate held at the 23rd World Congress on Parkinson’s Disease and Related Disorders, discussing whether the potentially increased mortality amongst patients with PDP receiving pimavanserin is a cause for concern. Overall, the experts concluded that (i) while the FAERS data might indeed indicate an increase in mortality with pimavanserin, the causality of this increase is not clearly established; (ii) that further research in the form of randomized, controlled trials and large-scale pharmaco-epidemiological studies may be required to fully characterize the risk–benefit profile of pimavanserin; and (iii) that as the only currently-approved treatment, pimavanserin addresses an important unmet clinical need in patients with PDP. Daniel Weintraub has received funding or support from the Michael J. 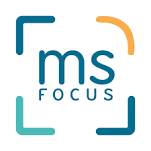 Fox Foundation for Parkinson’s Research, National Institutes of Health (NINDS), Department of Veteran’s Affairs, Alzheimer’s Therapeutic Research Initiative, Alzheimer’s Disease Co-Operative Study, and the International Parkinson’s and Movement Disorder Society. He has also received honoraria for consultancy from ACADIA Pharmaceuticals Inc., Alkahest, Anavex Life Sciences, Blackthorn Therapeutics, Bracket, Clintrex LLC, Sunovion, Theravance Biopharma, and the CHDI Foundation, license fee payments from the University of Pennsylvania for the QUIP and QUIP-RS, royalties from Wolters Kluwer, and fees for legal consultation for three lawsuits related to medication prescribing in patients with Parkinson’s disease. Zoltan Mari has received funding from the Michael J. 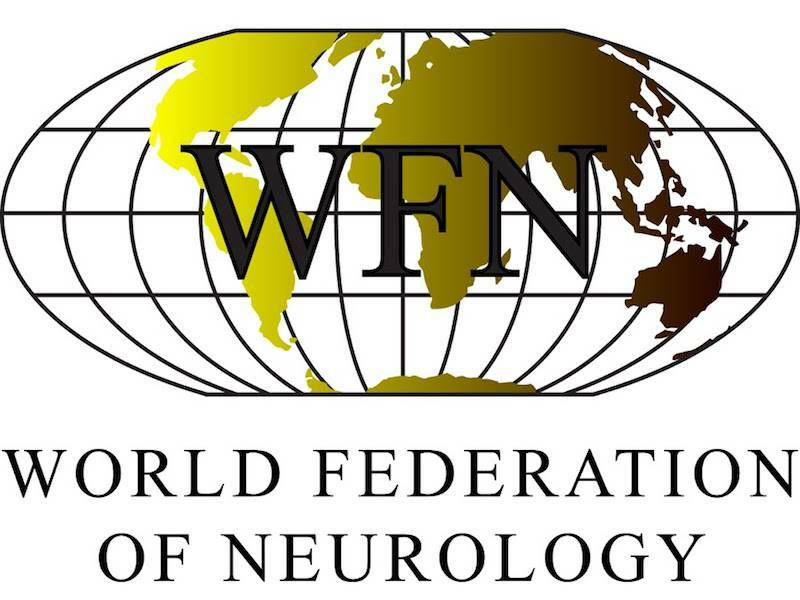 Fox Foundation, the National Parkinson Foundation (now Parkinson’s Foundation), the National Institutes of Health (National Institute of Neurological Disorders and Stroke), Adamas, AbbVie, Allergan, US WorldMeds, Ipsen, Sunovion, and fees for legal consultations. Dr. Mari is also co-founder and Chief Medical Officer of Neuraly, Inc. This article reports the highlights of a Spotlight Debate sponsored by ACADIA Pharmaceuticals Inc. held at the 23rd World Congress on Parkinson’s Disease and Related Disorders in Lyon, France, and has not been submitted to external peer reviewers, but was reviewed by the Editorial Board and speakers for accuracy before publication. This article was drafted using content from a Spotlight Debate sponsored by ACADIA Pharmaceuticals Inc. held at the 23rd World Congress on Parkinson’s Disease and Related Disorders in Lyon, France. The publication of this article was supported by ACADIA Pharmaceuticals Inc., who were given the opportunity to review the article for scientific accuracy before submission. Any resulting changes were made at the expert reviewers’ discretion. Here we present the highlights of a Spotlight Debate session held at the 23rd World Congress on Parkinson’s Disease and Related Disorders, discussing whether or not the potential increased mortality risk in patients with PDP receiving pimavanserin should be a cause for concern. Lastly, recent publications have reported an increased risk of mortality in all patients with PD, not just those with PDP.17,18 In a retrospective, 6-month, matched-cohort study of 15,754 patients with PD from the US Veterans Health Administration database, any antipsychotic use was found to significantly increase the risk of mortality compared with no use (HR: 2.35, 95% CI 2.08–2.66; p<0.001) after adjusting for measurable confounders.17 This trend was true for both typical and atypical antipsychotic use (HR: 3.65 and 2.26, respectively; both p<0.001).17 Typical antipsychotic use was also found to significantly increase the mortality risk compared with atypical antipsychotic use (HR: 1.54, 95% CI 1.24–1.91; p<0.001).17 Overall, the 6-month mortality rates in PD were approximately 5% for patients receiving no antipsychotic therapy, 10% for those receiving atypical antipsychotics, and 15% for those receiving typical antipsychotics (Figure 2).17 Fewer than 10% of the patients in the study were diagnosed with dementia, demonstrating that the increased mortality risk was applicable to patients with PD in general.17 With regard to morbidity, any antipsychotic use was also found to significantly increase the risk of emergency room visits (HR: 1.64, 95% CI 1.51–1.77; p<0.001), inpatient care (HR: 1.58, 95% CI 1.46–1.71; p<0.001), and outpatient visits (HR: 1.08, 95% CI 1.05–1.12; p<0.001) (Table 1).18 Overall, considering these and the previous key points, it is reasonable to be concerned about the use of any antipsychotic in patients with PDP. Nevertheless, the recent articles in the popular press and scientific journals do raise important questions that need to be addressed.7,10 Further research is therefore warranted to characterize the risk–benefit profile of pimavanserin in PDP, in the form of either (i) a large, prospective randomized controlled trial; or (ii) a large-scale, well-designed, case-control study using healthcare claims databases such as Medicare, the US Veterans Health Administration, and national European databases once pimavanserin is available in Europe. While risk of adversity exists with any medication, and such risk must always be carefully considered, it is critical to consider the possible adverse reactions and side effects of treatments relative to the benefits and possible alternatives. Currently there is neither an approved alternative therapy to treat PDP nor compelling evidence that any other antipsychotic is superior to pimavanserin in terms of efficacy or mortality risk. As mentioned previously, there is a general concern over the increased mortality risk associated with any antipsychotic use in a frail elderly population such as those with PD or dementia,14,15,17,18 and pimavanserin is no exception. However, pimavanserin is the only antipsychotic currently available that has no potential for dopaminergic receptor blocking,4 which could worsen the motor symptoms of PD. 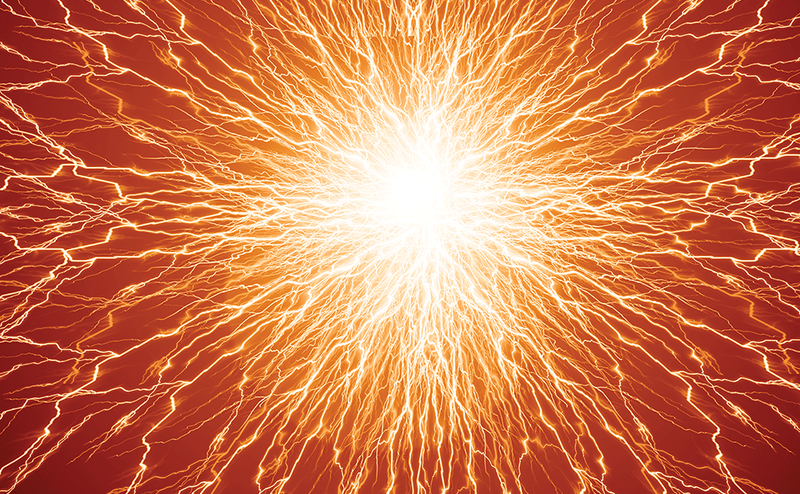 This has been demonstrated in preclinical studies as well as both phase II and phase III clinical studies of pimavanserin in PDP, where no treatment-related impairment of motor function has been observed.5,20 It has also been noted that in the pivotal clinical trial, pimavanserin showed only a 3-point improvement over placebo on the SAPS-PD scale in patients with PDP.5 Importantly, a 2.33-point change in the SAPS-PD has been correlated with a clinically meaningful 1-point change in the clinical global impression – improvement scale.6 However, it should be remembered that this represents a mean population value and was statistically significant (p=0.001; Cohen’s d=0.50),5 with 73.7% of patients experiencing an improvement of ≥1 point on SAPS-PD (compared with 55.6% in the placebo group) and 33.7% reporting improvements in excess of 10 points in the pimavanserin group (compared with 16.7% in the placebo group; Figure 3).4,5 To place such improvements in context, patients who received pimavanserin had a mean SAPS-PD change after 6 weeks that equated to a 37% improvement from baseline in SAPS-PD, compared with 14% for placebo.5 Overall, the benefits of pimavanserin in patients with PDP are both statistically and clinically significant, and pimavanserin is the only antipsychotic that demonstrates these benefits with no associated clinical activity on dopamine receptors. With regard to the post-marketing safety reports detailed in the popular press and scientific journals,7,10 there are two important points that should be considered. Firstly, without professional data forms or controls there is no reliable way of determining causality with FDA public reporting via FAERS, particularly in a PDP population that is typically elderly and frail, with multiple cognitive and medical comorbidities and various causes of death unrelated to pimavanserin. In addition, no consistent pathology or pattern of treatment-related AEs was observed in the pivotal clinical trial of pimavanserin in PDP,5 and currently there is no known pharmacological mechanism related to pimavanserin that might explain the majority of SAEs or deaths reported in FAERS. In conclusion, while we should always be concerned about the risks associated with any treatment, available evidence from controlled studies indicates that the risks associated with pimavanserin are no worse than those associated with other antipsychotics in patients with PDP, with the added benefit that pimavanserin has no dopamine receptor blocking activity that could potentially worsen the motor function symptoms of PD. Overall, while the FDA FAERS data might indicate an increase in mortality, the causality of this increase is not clearly established. Reflecting this, the FDA recently released a statement based on the results of a review of all post-marketing reports of deaths and SAEs in patients receiving pimavanserin, which concluded that the post-marketing safety data were consistent with the pre-marketing clinical trial data, and that the benefits of pimavanserin outweigh the risks for patients suffering hallucinations and delusions associated with PDP.24 Further research in the form of randomized, controlled trials and large-scale pharmaco-epidemiological studies, in contrast to the post-marketing data to date, is required to fully characterize the risk–benefit profile of pimavanserin. 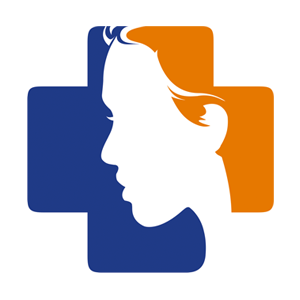 Nevertheless, as the only currently-approved treatment, pimavanserin addresses an important unmet clinical need in patients with PDP, a condition with psychotic symptoms that, if left untreated, can have a substantial impact on patient quality of life and caregiver burden. Parkinson’s Foundation: Statistics, 2018. Available at: http://parkinson.org/Understanding-Parkinsons/Causes-and-Statistics/Statistics (accessed September 27, 2018). 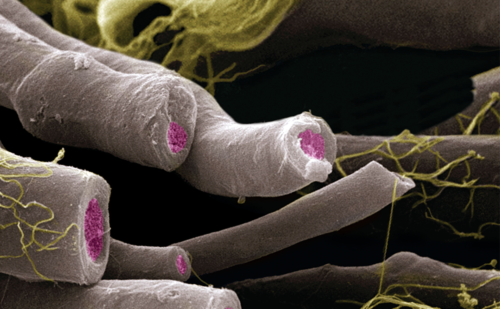 Forsaa EB, Larsen JP, Wentzel-Larsen T, et al. 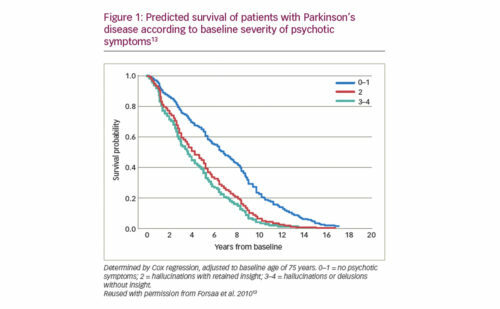 A 12-year population-based study of psychosis in Parkinson disease. Arch Neurol. 2010;67:996–1001. Ravina B, Marder K, Fernandez HH, et al. Diagnostic criteria for psychosis in Parkinson’s disease: report of an NINDS, NIMH work group. Mov Disord. 2007;22:1061–8. ACADIA Pharmaceuticals Inc., NUPLAZID Prescribing Information. Available at: www.nuplazidhcp.com/sites/nuplazid/files/pdf/NUPLAZID_Prescribing_Information.pdf (accessed September 27, 2018). Cummings J, Isaacson S, Mills R, et al. Pimavanserin for patients with Parkinson’s disease psychosis: a randomised, placebo-controlled phase 3 trial. Lancet. 2014;383:533–40. Voss T, Bahr D, Cummings J, et al. Performance of a shortened Scale for Assessment of Positive Symptoms for Parkinson’s disease psychosis. Parkinsonism Relat Disord. 2013;19:295–9. 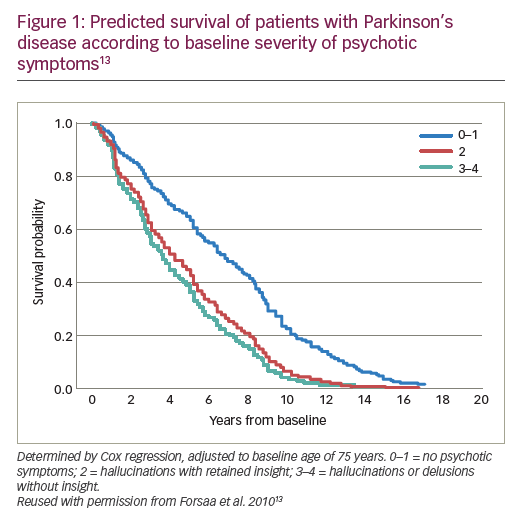 Lancet Neurology, Editorial: Difficult choices in treating Parkinson’s disease psychosis, 2018. Available at: www.thelancet.com/journals/laneur/article/PIIS1474-4422(18)30209-6/fulltext (accessed September 27, 2018). 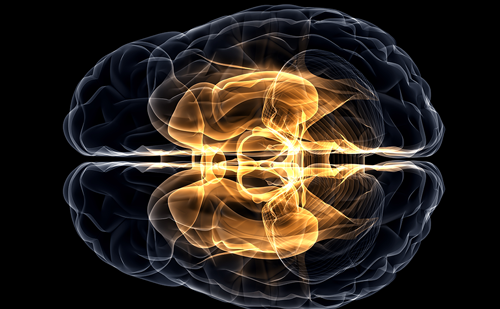 US Food and Drug Administration, FDA News Release: FDA approves first drug to treat hallucinations and delusions associated with Parkinson’s disease, 2016. Available at: www.fda.gov/NewsEvents/Newsroom/PressAnnouncements/ucm498442.htm (accessed September 27, 2018). Institute for Safe Medical Practices, QuarterWatch: Monitoring FDA MedWatch Reports. Safety signals for two novel drugs - Executive summary, 2016. Available at: www.ismp.org/sites/default/files/attachments/2018-01/2017Q1_0.pdf (accessed September 27, 2018). CNN, FDA worried drug was risky; now reports of deaths spark concern, 2018. Available at: https://edition.cnn.com/2018/04/09/health/parkinsons-drug-nuplazid-invs/index.html (accessed September 27, 2018). Aarsland D, Larsen JP, Tandberg E, et al. Predictors of nursing home placement in Parkinson’s disease: a population-based, prospective study. J Am Geriatr Soc. 2000;48:938–42. Klein C, Prokhorov T, Miniovitz A, et al. Admission of Parkinsonian patients to a neurological ward in a community hospital. J Neural Transm (Vienna). 2009;116:1509–12. Forsaa EB, Larsen JP, Wentzel-Larsen T, et al. What predicts mortality in Parkinson disease? : a prospective population-based long-term study. Neurology. 2010;75:1270–6. Singh S, Wooltorton E. Increased mortality among elderly patients with dementia using atypical antipsychotics. CMAJ. 2005;173:252. Association AP, Psychiatric News: FDA extends black box warning to all antipsychotics, 2008. Available at: https://psychnews.psychiatryonline.org/doi/10.1176/pn.43.14.0001 (accessed September 27, 2018). Aarsland D, Cummings JL, Larsen JP. Neuropsychiatric differences between Parkinson’s disease with dementia and Alzheimer’s disease. Int J Geriatr Psychiatry. 2001;16:184–91. Weintraub D, Chiang C, Kim HM, et al. 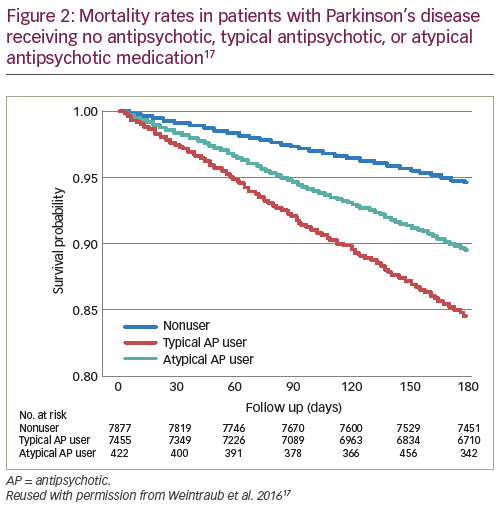 Association of antipsychotic use with mortality risk in patients with Parkinson disease. JAMA Neurol. 2016;73:535–41. Weintraub D, Chiang C, Kim HM, et al. 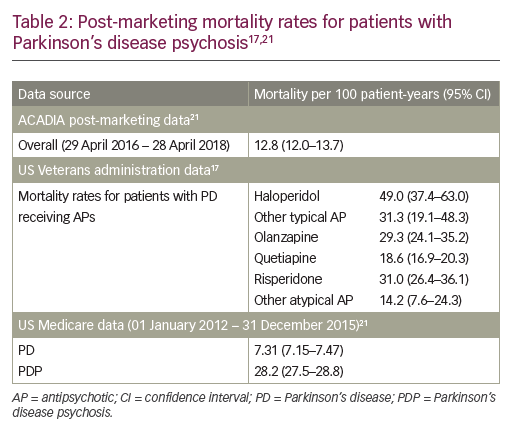 Antipsychotic use and physical morbidity in Parkinson disease. Am J Geriatr Psychiatry. 2017;25:697–705. Ballard C, Banister C, Khan Z, et al. Evaluation of the safety, tolerability, and efficacy of pimavanserin versus placebo in patients with Alzheimer’s disease psychosis: a phase 2, randomised, placebo-controlled, double-blind study. Lancet Neurol. 2018;17:213–22. Meltzer HY, Mills R, Revell S, et al. Pimavanserin, a serotonin(2A) receptor inverse agonist, for the treatment of parkinson’s disease psychosis. Neuropsychopharmacology. 2010;35:881–92. ACADIA Pharmaceuticals Inc., Data on File, 2018. Food and Drug Administration, FDA Briefing Document: Psychopharmacologic Drugs Advisory Committee (PDAC) Meeting, 2016. Available at: https://www.fda.gov/AdvisoryCommittees/CommitteesMeetingMaterials/Drugs/PsychopharmacologicDrugsAdvisoryCommittee/ucm492451.htm (accessed February 12, 2019). Schneider LS, Dagerman KS, Insel P. Risk of death with atypical antipsychotic drug treatment for dementia: meta-analysis of randomized placebo-controlled trials. JAMA. 2005;294:1934–43. 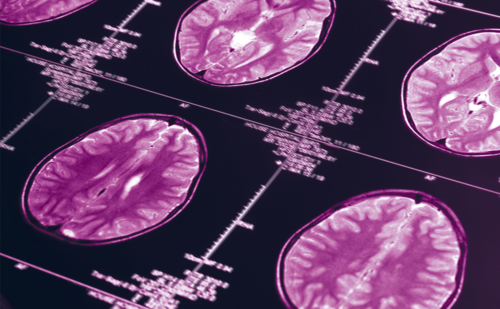 Food and Drug Administration, FDA analysis finds no new or unexpected safety risks associated with Nuplazid (pimavanserin), a medication to treat the hallucinations and delusions of Parkinson’s disease psychosis, 2018. Available at: www.fda.gov/Drugs/DrugSafety/ucm621160.htm (accessed September 27, 2018).